PNNL is collaborating with ThermChem Corporation of Portland, Ore., to help evaluate the cost-effectiveness of the company's hydrothermal carbonization method, which makes bio-coal from dairy manure. 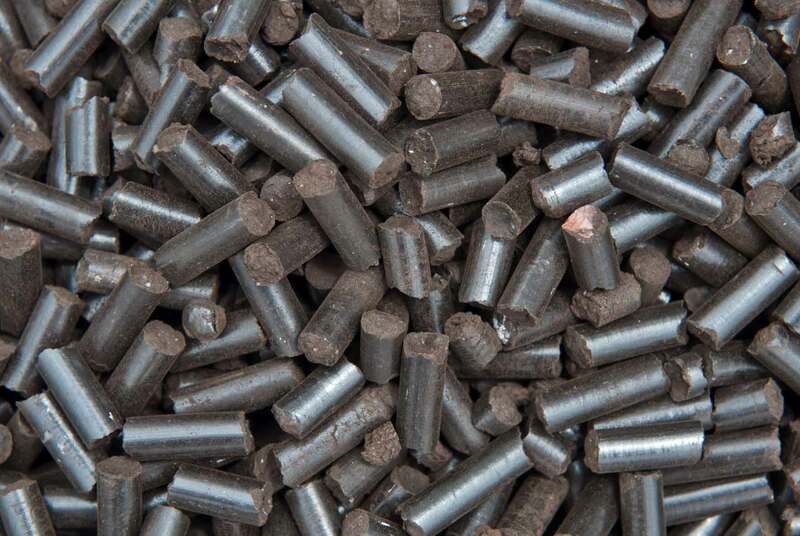 Shown here are bio-coal pellets made with ThermChem's process. RICHLAND, Wash. — Three small businesses have been selected to collaborate with researchers at the Department of Energy's Pacific Northwest National Laboratory to address technical challenges concerning bio-coal, hydrogen for fuel cell cars, and nanomaterial manufacturing. In the pilot's first two rounds, DOE connected 12 of its national labs with 76 small businesses. With this most recent round, a total of 114 small businesses will have been selected to collaborate with a DOE national lab. The selected businesses are able to tap into the intellectual and technical resources needed to overcome critical technology challenges they face and help their advanced energy products gain a global competitive advantage. ThermChem Corporation, located in Portland, Ore., will work with PNNL chemical engineer Karl Albrecht and his colleagues to help evaluate the cost-effectiveness of the company's hydrothermal carbonization method, which converts dairy manure into bio-coal. PNNL will also assess the technical and economic feasibility of extracting valuable byproducts from liquid waste created during bio-coal production. Emerald Energy NW, located in Bothell, Wash., will work with PNNL researcher Jamie Holladay and his colleagues to fabricate, test, and identify improvements to a key component needed for rotary magnetic gas liquefaction, which turns hydrogen gas into a liquid so it can be transported to fueling stations for fuel cell cars. Small Business Vouchers is part of the Tech-to-Market Program within DOE's Office of Energy Efficiency and Renewable Energy. Tech-to-Market is focused on strengthening the innovation ecosystem by eliminating common barriers that prevent market exploration of new energy technologies. To learn more about the pilot and current projects, visit the Small Business Vouchers Pilot website. For more information, see the full DOE announcement.